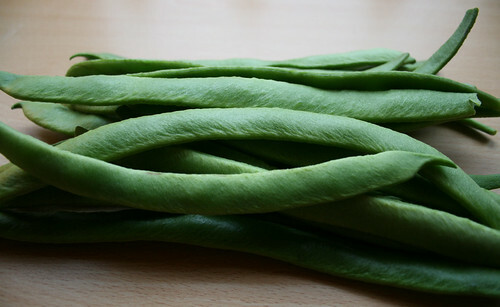 Rob’s uncle gave us some runner beans fresh from his allotment today. They looked and smelt amazing; vibrantly green with a fresh aroma. 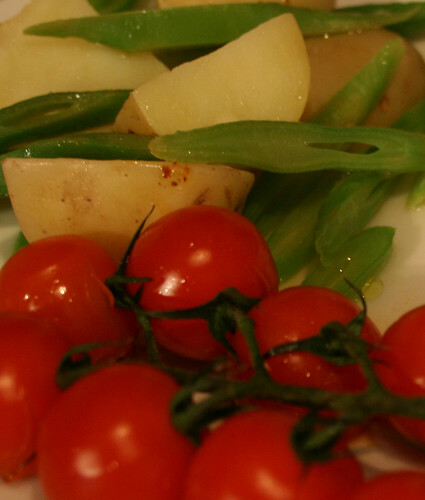 There’s nothing like vegetables that fresh and they’re best eaten as soon as possible. 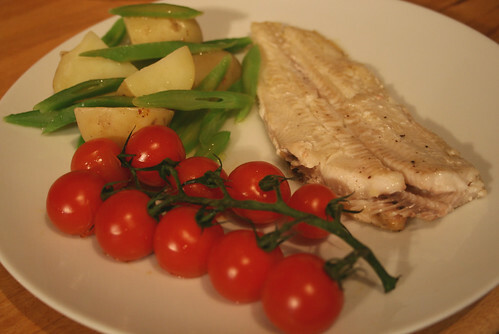 To go with the beans for dinner I picked up some Dover Sole, new potatoes and sweet cherry tomatoes on the vine. I cut off the frills, head and tail from the fish and skinned it (the skin can be pulled off easily) then lightly seasoned each side and fried it gently in a little olive oil and butter, turning half way through. This is a beautifully and delicately flavoured fish that really needs no other flavouring, which is likely to overpower it anyway. I left the tomatoes on the vine and fried them in the same pan as the fish, and I halved the new potatoes and boiled them until tender in salted water with a few sprigs of mint. The runner beans simply needed a little trim each end, cutting diagonally and boiling for just a few minutes in the same pan as the potatoes. I served them mixed together with a squeeze of lemon and drizzle of olive oil. I can’t tell you how delicious it all was; proof on a plate that fresh, seasonal ingredients need no frills, just simple cooking.